OXFORD, Miss. 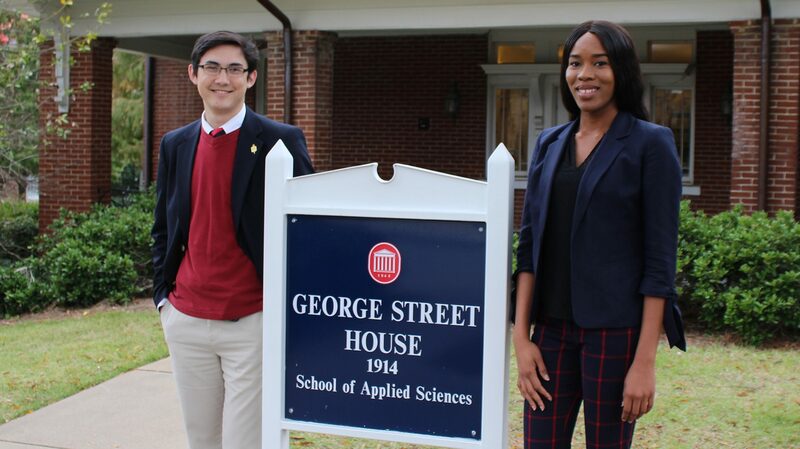 – The School of Applied Sciences has honored Evi Addoh, of Delta State, Nigeria, as its Graduate Student of the Month and Alan Cuff, of Mandeville, Louisiana, as Undergraduate Student of the Month for October. With a 4.0 GPA, Addoh is a second-year student in the master’s program in health promotion, part of the Department of Health, Exercise Science and Recreation Management. Some of her previous volunteer experiences with community health organizations and events include the Mississippi Comprehensive Cancer Control Program, Project SCORE, or Student Centered Outcomes Research Experience, and the Entrepreneurial Learning Centers conducted by the McLean Institute for Public Service and Community Engagement. Before studying at Ole Miss, Addoh worked as a dentist in Nigeria. Addoh is interested in continuing her education in health promotion or the dental public health field. Cuff is a junior working toward a bachelor’s degree in criminal justice with an emphasis in homeland security. Over the summer, Cuff worked in an undergraduate research program. As an active member of Alpha Phi Sigma, a criminal justice honor society, Cuff serves as president of the Ole Miss chapter. Following graduation in spring 2020, he plans to attend law school, ideally at UM. The School of Applied Sciences calls for nominations by faculty and staff throughout the school to recognize students for extraordinary scholarship, leadership and service. Nominations should be emailed, along with a nomination form, by the fifth of each month to mloftin@olemiss.edu. For more information about the School of Applied Sciences, visit http://sas.olemiss.edu/.